NOTE: I think either possibility suggested below is possible, I'm not looking for arguments why one of them would be your favorite like this answer. Instead, I'm looking for a fairly conclusive answer; either by ruling one out beyond reasonable doubt, or better yet by supporting your answer with authoritative sources discussing these particular artifacts in these specific images. I see a lot of white dots that repeat in each frame, moving steadily left to right. But I also see a lot of similar white dots that do not. Going frame by frame, the ones without the collective left-to-right motion often appear in one frame only, but in some cases I can convince myself (but not others) that a dot may appear in two adjacent frames, just moving in a different direction. Which makes me wonder if it could be debris around the asteroid, or between it and New Horizons, basically anything close enough that it doesn't appear fixed on the celestial sphere. One of the reasons for all of the occultation observations in 2017 and 2018 (see also Timing shadows from the Kuiper belt! Any news? Did it work? and Will the upcoming observations of occultation by “Ultima Thule” (2014 MU69) be of a single object, or two?) of MU69 (Ultima Thule) was to check for the possibility of a debris field around MU69 that might make a very close flyby dangerous. None were discovered but the unusual shape was suggested by the strange occultation results. Question: What are these white dots? Real objects, noise or cosmic rays in the silicon sensor, or something else? Mission scientists created this "departure movie" from 14 different images taken by the New Horizons Long Range Reconnaissance Imager (LORRI) shortly after the spacecraft flew past the Kuiper Belt object nicknamed Ultima Thule (officially named 2014 MU69) on Jan. 1, 2019. The central frame of this sequence was taken on Jan. 1 at 05:42:42 UT (12:42 a.m. EST), when New Horizons was 5,494 miles (8,862 kilometers) beyond Ultima Thule, some 4.1 billion miles (6.6 billion kilometers) from Earth. The object’s illuminated crescent is blurred in the individual frames because a relatively long exposure time was used during this rapid scan to boost the camera’s signal level – but the science team combined and processed the images to remove the blurring and sharpen the thin crescent. This is the farthest movie of any object in our Solar System ever made by any spacecraft. The images reveal an outline of the “hidden” portion of the Ultima Thule that was not illuminated by the Sun as the spacecraft zipped by, but can be “traced out” because it blocked the view to background stars also in the image. 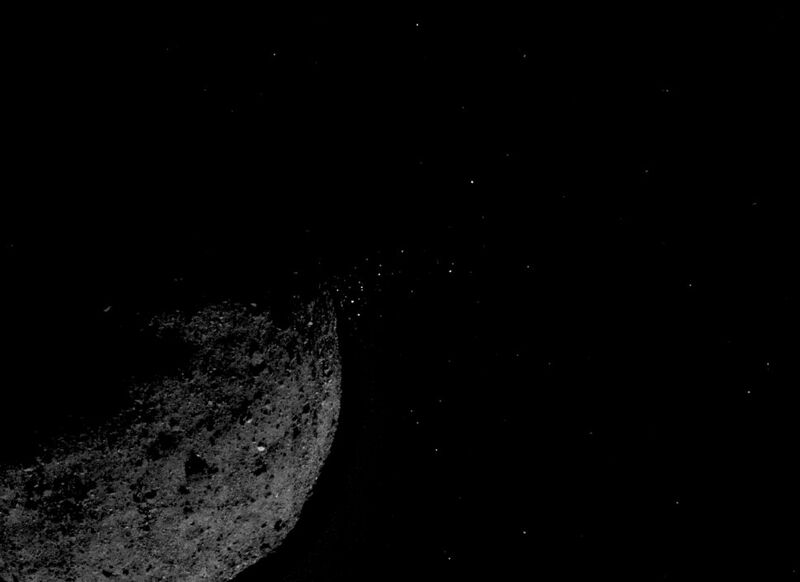 Asteroid caught red-handed ejecting particles! Since no one has answered yet, I'd like to add some helpful information here that's too long to fit as a comment. Note that the spacecraft was rotating backwards from what would have been desired. I stacked the images that show Ultima Thule and re-registered them to remove that rotation. 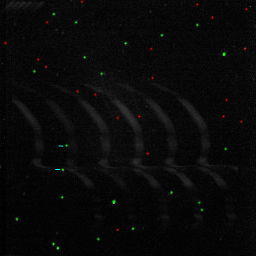 Green dots mark stars (present in multiple frames) and red dots mark noise. The stars marked with dashes are the two that show (by occultation timing) that Ultima is prolate rather than spherical. While the ultimate question of what causes the noise still stands open, this may be helpful towards that end. Not the answer you're looking for? Browse other questions tagged identify-this-object flyby camera 2014-mu69 or ask your own question.